BWHAAHAHAHAHAHAAAA!!! I'm sorry....did you think I'd have real tips for you crafters out there on how to save money on your most favoritest hobby EVAH?!?! While I can say I'm not in debt over this fun pastime of mine...I must share my blog post title did make me giggle!! When I first began stamping I justified to myself that I was saving SO MUCH MONEY because I would make my own cards instead of paying $120 for a beautiful card elsewhere. My fellow stampers will laugh out LOUD at that because honestly, the hobby part of my obsession with paper crafting means that I'm lucky if I save any money. 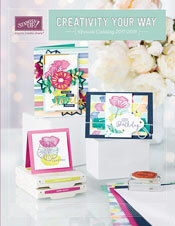 When Stampin' Up comes out with a new catalog it is VERY hard to restrain myself because I LOVE IT ALL!! My stampy friends and I tweet and email each other "WHAT DID YOU GET?!" and then try not to tackle the UPS Man when he pulls in front of our home. "If you were a cow, you'd be a belt by now." Since we're in our 40's now we can send cards like that to each other and laugh. Out loud. Have any irreverent stamps? I only have a handful....I need more. This is procrastination at its finest....I have 2...yes, TWO...Valentine's Day posts I saved here in blogger and W T Heck...I totally forgot about them. Pffffffth. So...let me share my cute Valentine Cards with you...AFTER VALENTINE'S DAY when no one cares! Oy! My Big Shot was used significantly for this card...Dots Embossing Folder, Fashionable Hearts Embosslit...stinkin cute! 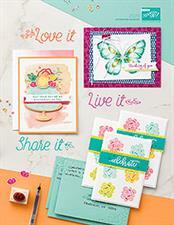 Stamp is from the PS I love You from the Occasions Mini Catalog. Paper is Regal Rose, Pretty in Pink and Whisper White...and of course some of that awesome Silver Glimmer Paper punched with the small heart punch! Thanks for looking at my late post!